Mindf*** and suspense, that are two word to sum up about this movie. I am actually looking forward to watched this movie, but I forget about it for awhile. Thank god, my boyfriend remind me and apparently that's how we celebrate our four years together. So, I think I will explained it briefly about this movie, since there is a trailer video played earlier. Kevin Wandell (James McAvoy), have 23 personalities. He kidnapped three girls and along the way, the 24th personality will emerged and the rest you have to watched it. Honestly, I'm quite nervous to watched this movie, and I can't explained why. When the movie start of course it was a happy situation but just for a while. Claire's father faint after being sprayed by one of the personality (Dennis). Which lead me to think that after kidnapped, they will be locked in the room, tortured and then murder. My favourite scene is when he monologue in front of the mirror, and rapidly changed into each of the character at a time. For Casey (Anya Taylor-Joy) character, there were a lot of puzzle for me to put it all together, and only at (almost) end of the movie I understand throughly about her. Bite me, but I am actually cry a little bit when The Beast say something to her when she was about to murder Casey. I think, that was a very vulnerable and honest scene in the movie despite all of the confusion. In term of cinematography, it was not that much to tell you if they have beautiful scenery, etc because their place is repeatedly and suitable for the movie. What more can you ask for if the acting was all incredible? All I can say is, I hope there will be Split 2 because there is so much possibility that The Beast can do. 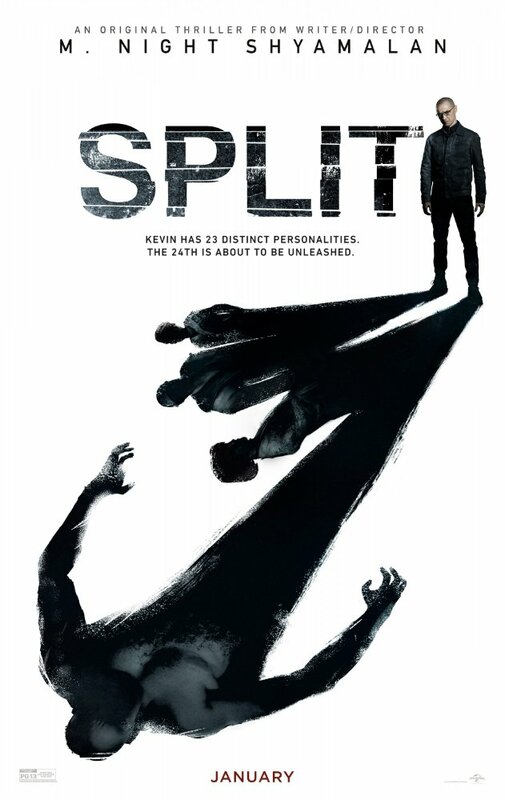 And you guys MUST watch this movie at cinema to experienced the horror and thriller of SPLIT. P/S: As for all my movie review, I didn't give any rate because I'm afraid that will stop from enjoying this movie. Make sure watched it will a clear mind and make a personal review about them, because we have a different opinion, individually. Heard of good reviews for this movie..always interested in movies produced by M.Night Shyamalan!